Toroid Cans | Ferruh Erdoğdu, Ph. D.
Use of toroid cans might be an innovative approach to increase heat transfer rates in canning. Therefore, the objectives of this study were to design a toroid can and to determine its possible use. For these objectives, a toroid can was designed, and water filled and pineapple slices placed cans were thermally processed. Tomato paste filled cans were used to demonstrate the improvements in heating rates. In convection heating, recirculation in both side walls was observed computationally to lead to increased heat transfer rate while the cold point shifted from center towards to outer wall in conduction heating due to the effect of heat transfer from inside surface. Enhancement in heat transfer leads to shorter processing times to achieve required sterility with better quality attributes, and toroid cans might be a possible process innovation in canning with this respective. We have recently completed this project. 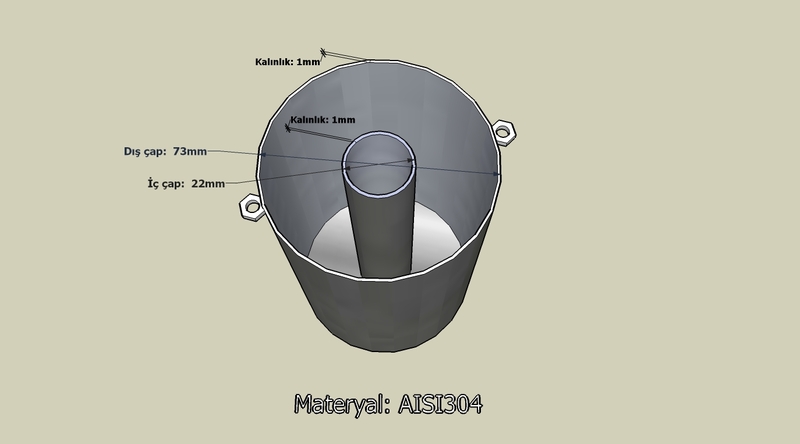 We are now looking for an industrial partner to comply this new design of cans with industrial processes.